Only ruins of the once great palace and park have survived to this day. There used to be a palace, a grange, an Upper Park and a Lower Park. In the Lower Park, a statue of Victoria, the goddess of victory has survived. It was placed there in 1840 in honor of the king Friedrich II von Hohenzollern. In the Upper Park, on the verge of the escarpment, there is Cecilia’s Temple – an open pavilion, the dome of which placed on eight Toscan columns covers the statue of the god of time – Khronos. The Upper Park is crossed by a deep ravine with the road to Sarbinowo running along its bottom. 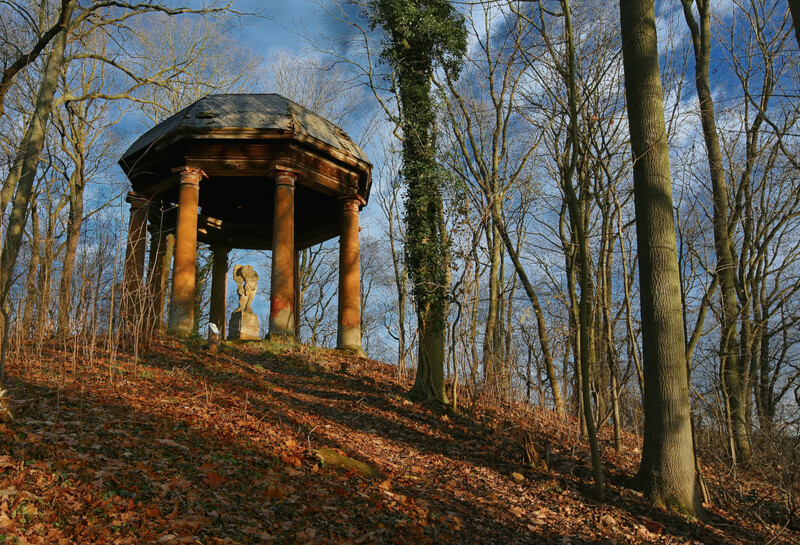 On the eastern side of the ravine, to the right, a tourist shall find an obelisk placed there in the late18th century in honor of the Duke Friedrich Heinrich Ludwig, the brother of Friedrich II. Its uncovering ceremony was accompanied by a spectacular theatrical show depicting the heroic deeds of the duke. It was partly staged on a now-nonexistent bridge hanging above the ravine. However, the brick base of the bridge is still there. Dąbroszyn’s cultural wealth has been the subject of several popular publications. An interesting story about the history of the property and its formidable owners was also presented by the German writer and poet Theodor Fontane in his book On the other side of the Oder. 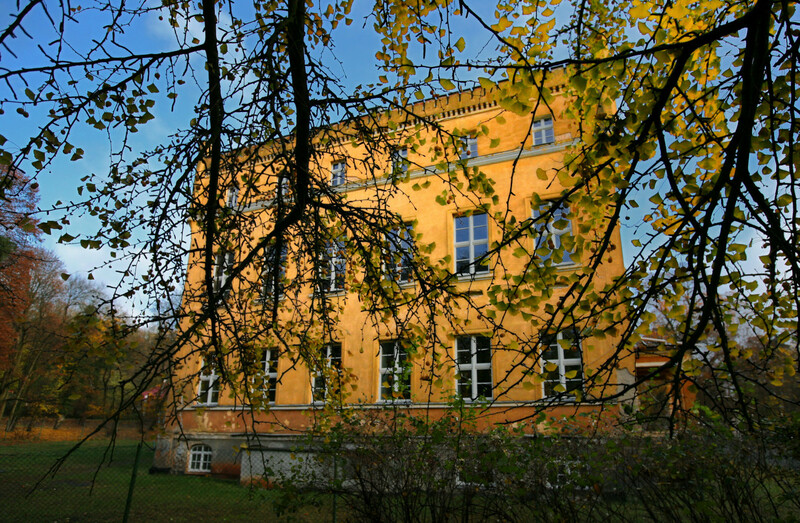 The author thus described the place: “many Neumark estates could compete with Dąbroszyn in terms of size and fame of the owners, but none did, for as long as six generations, consciously nurture and create great art”.